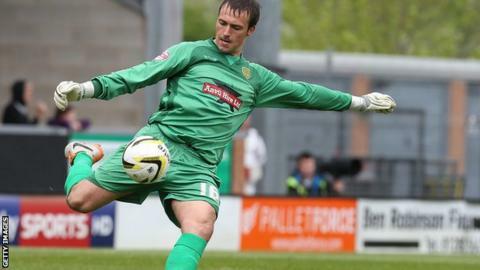 Blackpool have signed goalkeeper Dean Lyness on loan from fellow League One side Burton Albion until 22 March. The 24-year-old made seven appearances for the Seasiders in a loan spell towards the end of 2015, keeping three cleans sheets for the club. He has yet to feature for League One leaders Burton, who beat Chesterfield 1-0 on Friday, this season. "It's a good move for Dean as he wants to get out and play," Burton boss Nigel Clough told his club's website.